Self study of introduction to air barriers, materials versus systems, building code requirements, site installation realities and installer testing requirements. The QAP administrator manual delivers an overview of the ABAA Quality Assurance Program, contractor and installer obligations, project reporting as well as related documentation. Please note that to achieve ABAA QAP Administrator designation from ABAA, you must achieve a passing average grade of 80% on the written exam. 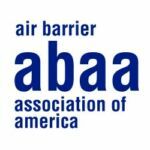 Successfully passing the online exam DOES NOT constitute the company or the individual is certified or licensed with the ABAA.